When you arrive the weather can be quite cold, it can be 0 degrees centigrade or colder. Most likely much colder than when you left home! Proper snow boots and a warm coat will help you get through the winter safe and comfortable. Buying affordable clothing on-line can be less expensive than purchasing it here- local clothing stores can be very expensive. There are many options on amazon for under $50 american. If you plan to ski or snowboard you should buy a jacket that has a shell to keep out the wet snow. God Luck and let me know if you need any recommendations. If you show up for work and your uniform is dirty and you are not clean-shaven you will be sent home to clean up before you can return. Let's all be clean and sharp in our Sun Valley Kitchens!!! Upon arrival in Sun Valley please reach out via email to your chef or sous chef and they will arrange to meet you and fill out a uniform requisition form. You will take this form to our laundry facilities and they will issue you chef coats, pants, aprons and a beanie hat, or Sun Valley baseball caps can be purchased for $10. Sun Valley offers free laundry services for your uniforms. When you leave your dirty uniforms at laundry they will need 24 hours to wash them. So, if you drop off laundry in the evening, it will not be ready the next morning. Your dorm room buildings have washers and dryers for your personal clothes. If you have any questions about uniform issue please contact your chef or sous chef. All cooks will need the proper knives to do your job in the most efficient manner possible. I recommend the Victorinox knives with fibrox handle. They are very good quality for the money and you can buy them wholesale through Sun Valley. You can get a starter kit for about $100 or you can buy individually. If you do not already own knives I recommend that you purchase as soon as possible after your arrival. Proper footwear is essential in the Lodge Kitchen to ensure a safe and slip-free work environment. 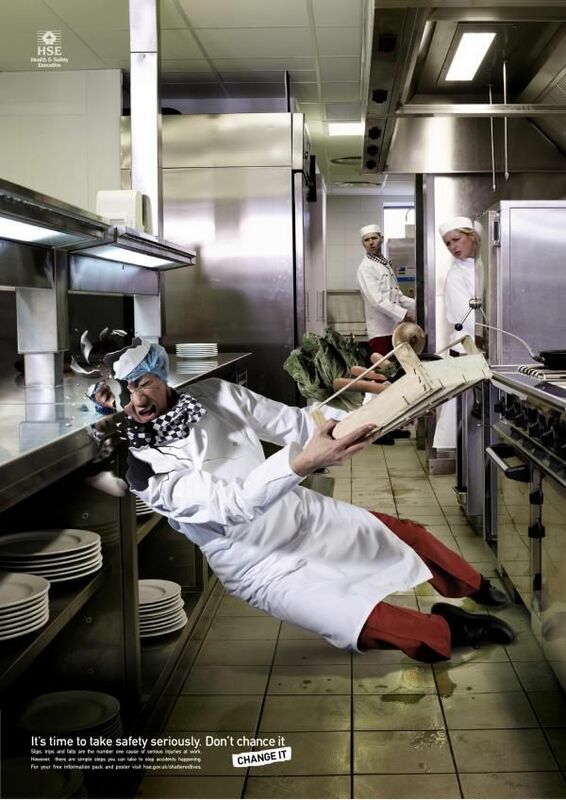 Slip-resistant shoes are required and must be worn at all times when you are working in the kitchen. You have the option of buying more or less expensive shoes. If you you are a dishwasher working for 3 to 4 months only then the less expensive shoes can work; if you are a year-long culinary intern I would recommend the more expensive shoes, as you could wear out 2 to 3 pairs of the cheaper shoes in that time. You can buy shoes when you arrive here through our uniform department, but it can sometimes take weeks before they arrive. That is why I recommend that you order online and have them when you arrive. And you will have the time to return to Amazon if size is incorrect. Below you will find my recommendations and links to buy on amazon. A less expensive slip-resistant shoe is the Deer Stag Brand. They come in many different styles and range in price from $25 to $50. They are decent quality for the cheap price. We are excited to announce our new safety training modules for all employees. Most work related injuries occur within the first 60 days of employment. This new safety training program will not only help prevent those early employment injuries but help all of us to come to work and go home each day without injury or accident. Safety is at the core of our values! Please find below links to five safety training modules. Each module is designed to help you learn specific safety standards while working. You can also apply these in your own daily personal life. We recommend that you take each safety training module one at a time with a break or pause in between courses versus completing all of the training in one setting. Upon completion of all five safety standards you will receive a certificate, distinguishing you as a Sun Valley safety standard certified employee. Tuesday afternoon between 12 and 4pm. Mondays, Wednesdays and Fridays from 8am to 4pm. Please let us know your thoughts and comments about the current training. This has been a collaborated effort including the HR Team and Risk Management. We appreciate your help and support. Please click on each links below to begin. When you click the links above to launch a course, you'll see a screen first confirming your email address to make sure you get proper credit for taking the course. The default is the address this email was sent to, but you can use another if you already have a SCORM Cloud account or want the training tied to a different email address. If you run into a problem launching the course, either contact Paula Wilson at the HR Offices (622-2078) or the IT department regarding adobe flash player issues. We'll be happy to help you out. And that’s just one link in the chain of people from farmers to food servers who potentially could contaminate food. Most of the foodborne illnesses experienced today are preventable if farmers, chefs, food processors, cooks, and servers focus on safety, according to the Center for Science in the Public Interest. You may ask yourself, why is personal hygiene really that important? When visiting a new restaurant or a food retail store, an employee’s personal hygiene has a great influence on the perception of the stores cleanliness as a whole. Businesses in the food industry should always strive to avoid any issues related to personal hygiene. Programs and training must be in place to improve personal hygiene, which include knowledge of foodborne illnesses, employee’s responsibility, management responsibility, and third-party services. Let’s begin with the “Big 5” foodborne pathogens stated by the CDC and the FDA.